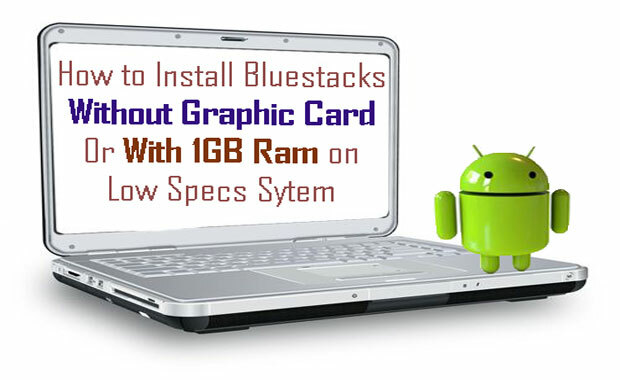 Here is an interesting topic How To Install Bluestacks Without Graphic Card & With 1GB Ram which allows you to enjoy android apps on Low specs systems. Actually, Bluestacks is a software that it needs at least 2 GB RAM and a good graphics card to run Efficiently. But all the systems may or may not meet the requirements and there are some systems which have less than 2GB Ram and some systems don’t have graphic cards. Can’t we enjoy the bluestacks with such low specifications???? Yes, we can enjoy bluestacks absolutely. It is possible to install bluestacks with such low configurations also, 1GB Ram and Without graphic card. This burning problem above mentioned made me create this post How To Install Bluestacks Without Graphic Card & With 1GB Ram for Windows 10, Windows 7/8/8.1/Xp Pc/Laptop. Bluestacks Android Emulator is one of the most popular emulators used to run android apps on PC. Hit here for perfect Bluestacks for Pc/Laptop installation guide. After knowing about using apps on Pc many tried installing bluestacks android emulator to Pc. Some successfully installed and Some encountered with Errors like “Graphic card should be updated”, “Graphic card not supported”, “Insufficient memory “, “hardware error” while installing the Bluestacks in their low specification system. All the Troubleshoot problems can be avoided with this simple trick. Here we will be using two software packages Bluestacks Offline Installer and a software Orca to resolve graphic card error. After small and simple editing you would be easily able to install Bluestacks app player without a graphic card and with 1gb ram on your Windows 7,8,8.1, Windows 10 Pc/Laptop. Bluestacks Offline Installer is an Offline Package which is packed with Bluestacks Online Installer Files, Runtime Files, Downloadable Files, Support Files, Installation Tables etc. 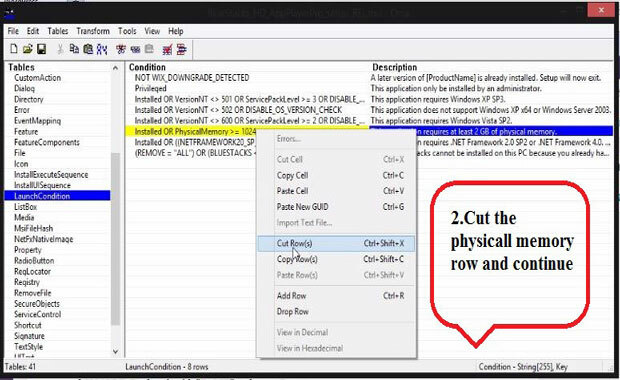 Orac is a table editor of Microsoft Database that allows you to edit Windows Installer packages (.msi) files. Here we will make use of Orca table editor to edit Bluestacks Offline Installer .MSI file tables which will make the offline installer to compatible with lower end Pc/Laptop (Without Graphic Card, With 1GB Ram etc.) Other Trouble Shoot issue, If you are having a High-end specification still problem with Bluestacks Installation See here our guide on Perfect guide to Fix Bluestacks Graphic Card Error 25000. How to install bluestacks without a graphic card and with 1gb Ram on Windows 10, Windows 7/8/8.1/Xp Pc/Laptop. Click here to download the Latest Bluestacks Offline installer Package. After finishing the installation of Orca, Go to the Bluestacks offline installer file location. Right click on the Bluestacks offline installer file and select “Edit with Orca”. 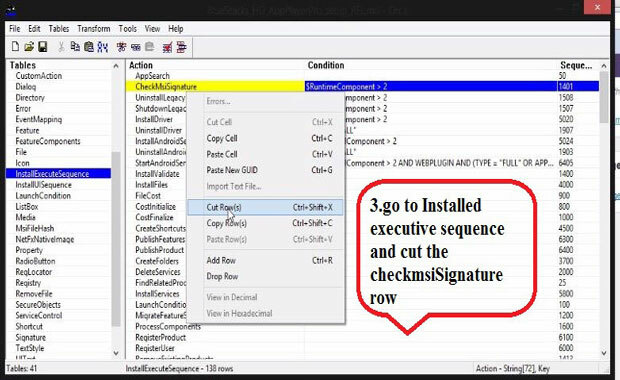 Delete this option and press OK.
Now, Go to “InstallExecuteSequence” and select “CheckMsiSignature” Delete this option and press OK.
Next step is to go to the “Property” tab and double click on the “TRUE” value of GLMODE. Replace it with “FALSE” and press Enter. Now, try installing Bluestacks from the saved Bluestacks Offline installer setup file. It will run in your system successfully without error. After you are done with editing and installing you can install bluestacks without a graphic card and with 1gb ram on your PC. What are you waiting for Open doors for Bluestacks app player on lower specs windows 10,7,8,8.1 Pc/Laptop? Find your favorite Android apps & games on BlueStacks, run or play them on your PC and have fun on your bigger screen. Guys! Thank you for reading How to install bluestacks Without graphic card & With 1gb Ram hope above steps were easy and convenient and assisted you to finish Installing Bluestacks successfully for your windows 10/8/8.1/7 & Mac Laptop/Pc. If you have any concerns or recommendations you can write for us as feedback below in comment box. We will be here all the time to resolve your concerns. If you feel this article “How To Install Bluestacks Without Graphic Card & With 1GB Ram Windows 10,7,8,8.1, XP Pc” is informative and helpful. Do Share this article with your friends over social media like Facebook, Google +, Twitter etc. I am getting some error on my AMD Machine ! Thank you. 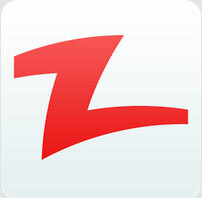 Its an awesome application to use. Really very thankful. Error Code 2503 please help me. i dl and install orca, dl buestacks installer file but not getting edit option when i right click on bluestacks installer file , just open ,open , send to , compress etc. what to do? extract the bluestack installer first, then look for the msi file. right the msi file to see “edit with orca ” option. i have exact same problem and when i try to install bluestacks that does not work either plus instead of saying bluestacks installer file it says bluestack native.exe any soluition to this? The bluestackz setup isn’t a .msi file,so it is not opening with the ORCA,What should I do? I have downloaded bluestack form official bluestack site but it does not show any edit option with right click..why? I completed all steps except the last one because I am unable to find “GLMODE” file. 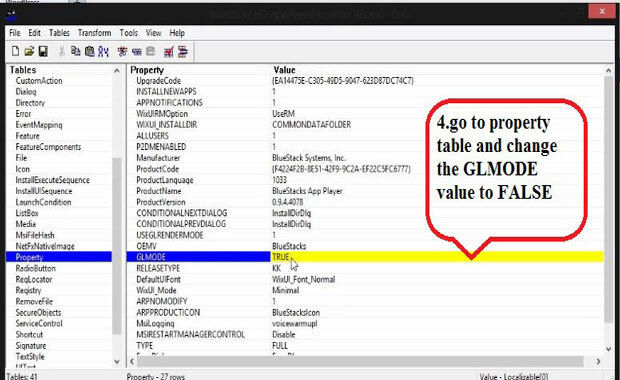 The “GLMODE” file is not present in property. Please help me and reply as fast as possible I am waiting! I did every step except the last GLMODE one as i couldnt find it in properties…. And tried installing then… still it showed error 25000 graphics cardnot found or something like that. please help me with this. wheb i open blustacks in orca it show Faild to open MSI Database.please help me………. WHay I can’t use whatsapp on this ?? I am not able make changes with ocra. The cut option is not available. Please help me. i cant find the GLOMODE and when i did like what you said, ctrl=f enter GLOMODE. but, when i click “find next” button, still failed.. system said ” No occurrences og “GLOMODE” were found. Skip it dude you can find bluestacks edited version link in comments section………………………..
last day I downloaded a bluestacks app player in another site.. After the download completed it always says that i need to had 2gb ram.. So I search a site that would help me fix my problem.. I found this.. So I follow the steps and finally it was installed.. But here comes the second problem…… every time i open the bluestacks it always initializing.. I wait for an hour.. but it still the same.. Can you help me solving my second problem..
Its making more time on initialising and does not open!!! For All who facing initialising time. Hy does these mentioned emmulator will work without having high graphics and i only have 1 gb ram. Could you help me out that which emmulator should i use under in these condition. Bluestacks will works for you…….In case if you are not interested in it use droid4x it is far better. can i play COC here? it is saying bluestck can’t be installed on my pc, and told searching for a file. Today s article article is about how to install bluestack with 1 gb ram. 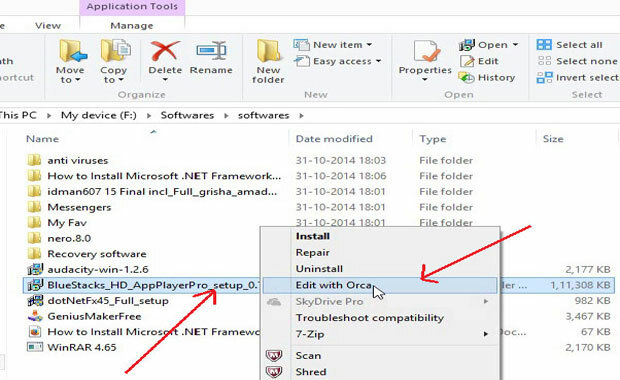 Also it will solve the error issue for the windows8 and windows8.1 users. Many 8 and 8.1 user facing issue regarding grafics card error. If you getting this error Graphics card is not compatible with bluestack, then you are at right place . THANK U MY MAN………………it worked out……..thank u ..
i can’t find GLMODE and “Installed OR Physical Memory >= 1024” in orca!!! Hey Buddy so far I have list of emulator list as follows Droid4x or Memu Emulator or Nox App Player And finally recent emulator Koplayer To best of my knowledge all of them needs graphics card, But If you want, I can suggest you to use Koplayer……..Do share your experiences here after using koplayer…. hey! after i istalled bluestack successfully. am trying to search for whatsapp messenger but it doesn’t show it to me so that i download it.it keeps on showing “please check your connection or re-launch and i have internet and i tried relaunching several times but it cant find it. how can i get whatsapp? Visit this link And follow Download and Install wHatsapp using Whatsapp Apk file http://www.makeyupdates.com/download-whatsapp-pc-laptop-windows/…..One click installation !!!!!!!!!!!!!! Yes Mark With in couple of days we will doing that………. 3 GB RAM SIR,THATS 2 MUCH .I CANT B ABLE TO DELETE THE BLUE STACK AND INSTALL IT AGAIN. my friends play coc on bluestacks.i hav installed bluestakc one thats shown on a video ,how to install bluestacks without graphic card.is that the bluestaks offline instaler process sathish plz tell. so theres no way to play clash of clans in low specs pc “na bhaiya” right. There is No GLMODE in Property tab. What should i do? Do as told in Video……Actually I don’t have an idea about Google frame work….Do onething go to this url https://www.youtube.com/watch?v=sf4_JKWtaEg and just comment there or ask a question to the person who uploaded the video he might help u buddy. This is already old version which uses 1 GB RAM. Thanks for this. i hav installed it.but when i sign in ,,after sometime it says u have not reliable internet connection..
i installed the software orca and blue stacks hdd app player and edited it with orca but glmode fuction is not shown in it so what to do , should i continue ??? when i open playstore it says that application failure detected.plese try again.what should i do. i didn’t find geomod !!!!!!!!!!!!!!!!!!!!!!!!! Can we play COC in the EDITED blustacks ? yes tell me also plzzzzzzzzzzzzzzzzzzzzz because i love clash of clans. the only it could be fast is PURCHASING A NEW RAM OR UPGRADING YOUR PC. LOL BUT ITS THE WAY BROS.
You Guys can download exe into msi converter! I have successfully installed the BlueStacks but a little heavy, how do I fix this? I am not getting the edit option. Plz help. I want to install it in my tab. if i have 1 gb ram only then it will work????? i couldnt find the GLMODE on properties, can i save it without changing??? there is no glmode. I can’t find that ‘GLMODE’ in ‘Property’. Help Me. it does not work for other versions of bluestacks downloaded from different sites why pls tell me. IS IT WORK SLOWLY AFTER INSTALLATION? it works to instal, but when i enter in bluestack on facebook i see white screen. google aps don’t have, can’t setup gmail account..
i was unable to locate GLMODE in the ”property”. big thanks to the AUTHOR. i was able to installed it . but to download some apps is the only problem and challenges am facing now. how do i go about that? i try to download whatsApp, and there was a case of “NETWORK UNREACHABLE ..please check network connectivity and re-lunch”. not only that; i also encounter the problem of “NO APPS FOUND” when searching through the app-store. HOW DO I RESOLVE THESE PROBLEM ? This application requires .NET Framework 2.0 SP2. plz help me i need bluestacks plz……………. Will this work with C2D processor intel board? It will definitely but u cannot expect a good experience….The system will sometimes lag and get frozen. Hello how can i get a whatsapp version that can work with the bluestacks, tried so many but saying old_sdk_failed even the latest low end version. what do i do, how can i get an updated one that will work.